I have been enjoying myself immensely just reading until I can't read no more (which is never). Obviously this streak will not continue for forever, but whilst it goes on I am going to enjoy myself as much as I can. This novel is something I've had my eyes on for a while, at least as long as it has been out, and I was very excited to finally get my hands on it. Not long after purchasing it (I had a couple other novels higher on my TBR pile) I got to read this novel and I was not disappointed. I will discuss all my likes (and a couple dislikes) later in this post, so let's get started! Christopher Knight is someone who is very intriguing for me. When we first read about him in the book he's intelligent and sly and sneaky and everything in between. He's someone who is able to do things most people aren't able to do and that's interesting and instills a slight jealousy in you that's unintentional but hard to get rid of. After reading some more you begin to see him as an arrogant know-it-all who seems to think he is above us mere mortals. He comes off as though he left civilization due to the stupidity of everyone around him and not for other reasons. This is obviously not the truth, and you can't really fault him for acting the way that he does. He hasn't been around people for over 20 years (I don't remember the exact amount of years), and he probably doesn't remember the proper way to deal with people and the abundance of emotions that come along with each individual. Therefore I understand the dislike that people have for Chris, but on the opposite end of the spectrum I also understand the sympathy and the, somewhat, respect people have for what Chris stands for and why he did what he did. This novel was an incredibly interesting read and unlike anything I've read before. It covered an idea I didn't have much insight into and it provided a lot of sources of proof to stand by the ideas it was portraying. 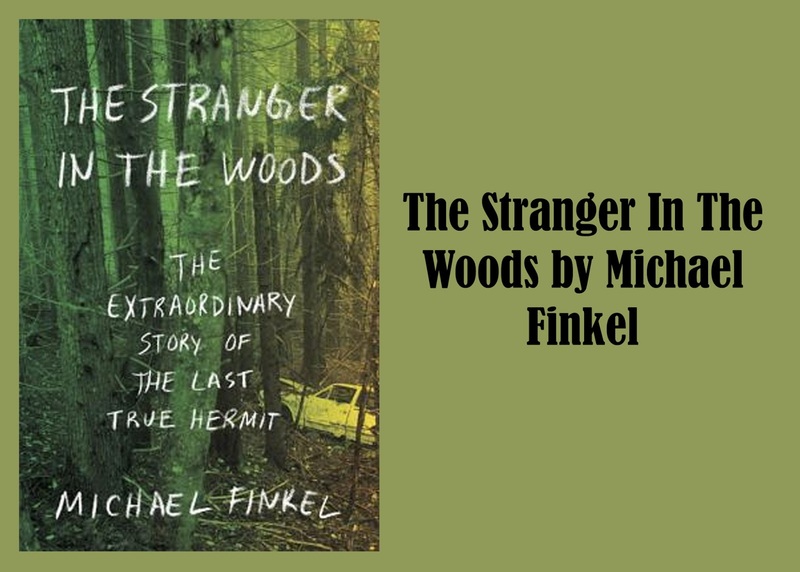 The author of this novel, Michael Finkel, set out to do one thing in this novel, and that was to talk about the incredible feat of Christopher Knight. 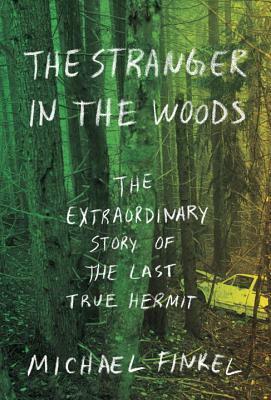 Chris spent a majority of his lifetime in the woods in solitude. He did so without anyone finding him or his campsite, yet he was only minute away from civilization. That has to be the first thing that really interests me about his story. Chris was able to hide all proof of him being in that plot of land in such a smart way, that no one who was either looking or not looking for him would be able to stumble upon either his tracks or even his camp. This seems like such an incredible feat to me. How is someone who was right out of high school with not much further education, able to learn and adapt to his surroundings so quickly and well that even the most experienced of hunters were unable to track/find him? Additionally, I found the idea of him being able to withstand the winters of Maine without the use of a fire, crazy. If it were me in that situation I would actually die, or want to die. This novel had me questioning all the time I spend on my phone and laptop and all the time I spend looking at Snapchat and Instagram and YouTube and Twitter and all the other social networking sites. Keeping up with people I neither like nor care about on a personal level. It all seems so useless. This novel has me wanting for more solitude. I wouldn't say I'd want to spend years upon years alone in the woods, but I would love to spend more time alone outside just reading a good book and not paying attention to whether I got a new message or notification. It's really a wakeup call to all of us. Whether you'd like to go camping for a weekend with your friends or significant other or even alone. All these things lead to memories and peace which is incredibly hard to find in your phone or online. That concludes my slightly rant-y review of The Stranger in the Woods by Michael Finkel. I would recommend this book to everyone who is looking for a good non-fiction that makes them think outside the box a bit more than they're used to! Also, comment down below if you've spent an extended amount of time alone, and how that treated you. Was it by choice or was it punishment for something? Did it change how you felt about the online world and the way we interact with people today, or did it leave you wanting more of the social world than you previously did? I'd love to hear your thoughts!